Randy’s 24 plus years of experience helped us purchase our dream home. In addition he is also selling our current home. His guidance and market expertise has enabled the selling of our home a very positive experience. We would highly recommend Randy Selzer as a real estate agent. Rose G. & Louis P., Burlington ON. Working with Randy was such a pleasure. He helped us find a beautiful condo for our daughter. He knows the market and the Mississauga area very well. He was always on time to our appointments, he always returns our calls or emails very quickly. We will not hesitate to work with him in the future and highly recommend him. Worked with Randy to both sell and purchase property. Randy was always very patient, accommodating and went the extra mile to ensure satisfaction. He is very experienced, honest and was both willing to listen and to provide advice. If/when I need to buy/sell property again, I will definitely call Randy first. Search MLS Mississauga if you are looking for home or condo listings in Cooksville, Mineola, Lakeview, Fairview, Erin Mills, Port Credit, Lorne Park, Clarkson, or any other Mississauga community. This site brings you data from the multiple listing service – homes, townhomes, and condos for sale, but better than mls.ca or realtor.ca – we make it easier for you. By custom creating preset searches for the areas you desire, you are now able to zero in directly on those areas, without having to sort through 100’s of listings that are in the wrong location. So check out all the houses for sale in Mississauga, try our free search now! Just fill out the search form above, and find the real estate listings you want. First of all, thank you for visiting, and welcome to my site! 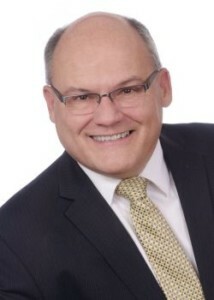 I am Randy Selzer, a real estate agent in Mississauga, an experienced salesperson, and I hang my hat at Sutton Group – Summit Realty Inc., brokerage. A few things about me: it’s been my honor to help a long list of valued clients buy and sell condos and homes with award winning service in residential real estate since 1993. I was born and raised in Regina, Sask., and later moved to the Toronto area, subsequently living in Toronto, Mississauga, and Oakville. My mission as a realtor is to provide you with the absolute best, value-packed service, whether you are a buyer or a seller, utilizing my many years of experience combined with the most cutting edge and effective technology, all the while maintaining an unwavering commitment to Best Practices in Real Estate. If you are planning to buy a home in Mississauga, find out all the services you would receive by choosing me as your real estate agent here. If you are planning to sell your Mississauga home, check here. Reach me at rselzer@sutton.com or telephone 416-433-3556. So where are we headed? Will the boom times come back, or are we at the beginning of a long correction? Our federal and provincial governments are doing their best to cool off the market, and it seems to be working. They have attacked the “demand” side of the supply/demand imbalance, rather than finding ways to increase the supply. As we look at 2019, there will be a tug of war between these government initiatives to kill demand, and the underlying fundamentals of the market, which remain positive. The biggest problem will be affordability during the coming year. The new banking stress test will force many people out of the market for more expensive properties. Based on this and other factors, we believe that there will be a sideways market for detached homes in 2019. Due to their lower price point and relative affordability, we are predicting continued strength and modest price gains in the condo market. So here’s to 2019! 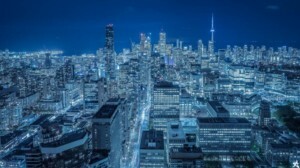 We continue to monitor the Toronto and Mississauga real estate market on a daily basis, and remain cautiously optimistic towards the coming year. The first step in preparing for the sale of your home is to prepare it so that it shows at its very best. The real estate industry has proven in many studies that professionally staged homes sell faster, and sometimes for more money, than those homes which have not been prepared for sale…Here are 24 Professional Home Staging Tips that you can do yourself, for little or no money. These techniques can help you to increase your home’s likelihood of selling, how quickly it sells, and the dollar amount that you get. You can find my office at Sutton Group Summit Realty Inc., Brokerage, where I am a licensed salesperson. Each office is independently owned and operated.